A while ago, I received a little box, with compliments of Unilever, filled with products that had won ‘Product of the Year‘ for 2013. Amongst the winners were the POND’S Gold Radiance Range, Vaseline’s Men Anti Bump Moisturizer and Blueseal GermSafe healthy petroleum jelly and lastly, the POND’s Perfect Colour Complex Naturals range. 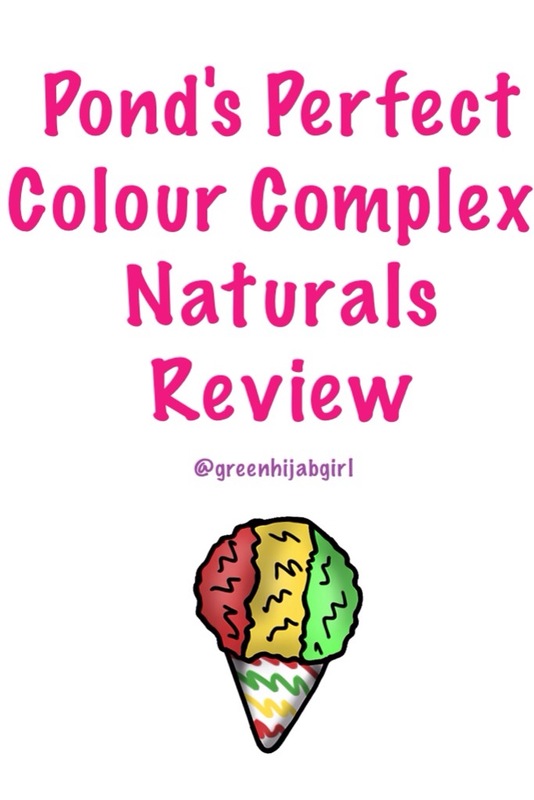 I decided to focus on the Perfect Colour Complex Naturals Range from POND’s, after receiving a countless number of emails from you guys, requesting me to suggest products that will combat dark marks and uneven skin tone. All the products in this range contain Green Tea Extract, which has tons of natural polyphenols and antioxidants that are uhmaze at inhibiting the production of melanin which causes dark marks – it basically tries to counteract the darkening effect that the sun has on your skin and current dark marks. 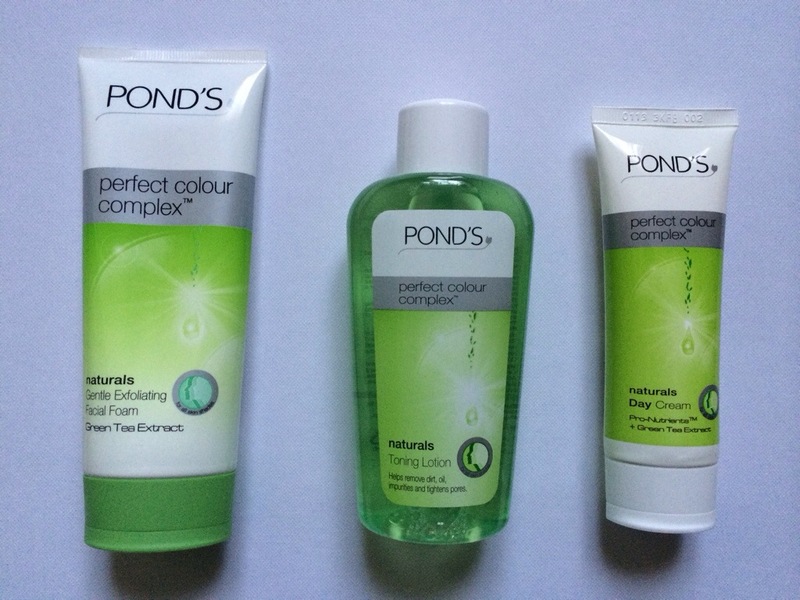 The range consists of 3 products, namely, the POND’s Perfect Colour Complex Naturals Gently Exfoliating Facial Foam, the POND’s Perfect Colour Complex Naturals Toning Lotion and the POND’s Perfect Colour Complex Naturals Day Cream. The Facial Foam is aimed at exfoliating your skin, thereby getting rid of dullness, impurities and providing the skin with an even tone and a natural glow. The Toning Lotion on the other hand is formulated to refresh skin, tighten pores and to remove oil buildup that causes spots and blackheads whilst the Day Cream moisturizes the skin to even the skin tone and reduce dark marks. The only negative comment I have is that when I tried the Facial Foam, which has tiny little beads in it, I couldn’t really feel any sort of exfoliating happening – it was just a lot of foam with no exfoliation and it did seem kind of strong for my face – which resulted in me breaking out. So this range is definitely not for those of you who have acne-prone skin. If you have dark spots in conjunction with a dull and uneven skin tone, I strongly suggest this range. I’ve read reviews from people who have used this and have actually seen results in as little as 3 weeks – so it really does work. As I mentioned before, if you have acne-prone skin, you might want to stay away! So to those of you lucky enough not to have acne-prone skin, I suggest you use all 3 of the products together so you can get the full effect that the range has to offer – you might want to skip the toning lotion, due to the copious amount of alcohol in it which can really dry out you skin but that really is your choice! The products are available in different sizes and are very, very affordable, with prices ranging from R19,99 to R34,99 – so even if it doesn’t work, it won’t really be such a train smash. And to those of you who do have acne-prone skin, I’ll be doing a post very soon on the products that you can use to get rid of your dark marks, so look out for that! To those who believe that POND’S isn’t for your skin, this is just a little extra info! Growing up, I always thought that POND’s products were specifically formulated for African skin and I still believed that until I got a hold of these goodies. I changed my entire view on POND’S when I looked at the back of these products and realized that they were either manufactured in India or in Indonesia – which wouldn’t make sense if POND’S was only suitable for African skin! After struggling with uneven skin tone,white heads and oily skin for years,i started using the pond’s perfect colour complex range,within a few weeks,i could see the difference,my skin was matte,glowy and clean,bt it didn’t remove the dark marks i had,so i got myself pond’s anti-marks cream and it lighten the dark spots to the complexion of my skin,Wow…my skin is now flawless and beautiful…i feel confident,i feel amazing,i recomend pond’s perfect colour complex range,it works! !